What role have you played in the peace negotiations that have taken place to date? I was asked by Railways Minister U Aung Min to help set up meetings for him with the Shan State Army-South, Karen National Union, Karenni National Progressive Party, Chin National Front and Kachin Independence Organisation on the Thai-Myanmar border. I did and I participated in all the meetings on November 19 as a facilitator. That was the extent of my involvement. I am not involved in any of the subsequent meetings or negotiations taking place between the government and the KIO or the SSA-S.
We’ve heard that subsequent negotiations have started between the government and KIO in Shweli. What can we expect from the negotiations, which are led by high-ranking Union Solidarity and Development Party members? I was not involved in the meeting between the KIO and the government in Shweli. But such a meeting should have taken place long ago. It is not right that the conflict should have been allowed to escalate to the extent it has, causing the population to suffer. Government troops are trying to secure a road in an area that both sides acknowledge is KIO territory. What advantages are there to conducting the talks on Chinese territory? If the talks take place in government-held territory, the KIO could technically be at a disadvantage. The same is true for the government if they take place in KIO territory. Taking place in China – a neutral venue – gives both sides the same advantage. It is a matter of building trust and confidence in the preliminary stages of negotiations. If Daw Aung San Suu Kyi becomes a member of parliament or even a member of the government, what effect will this have on the peace process? It will depend on how the government wants to handle the peace process. If, as some people suspect, it only wants ceasefires, Daw Aung San Suu Kyi’s presence in the parliament or government will make no difference. But if the government really wants permanent peace her presence could speed up the process. She has already said that she is ready to assist in whatever role she can. How do you think she can help? One of the reasons the government’s peace offer is not being welcomed by the various ethnic groups is the fact that they do not believe the government really wants to resolve the problem through political dialogue. For example, the KIO agreed to a ceasefire in 1994 because the military government said that they can have a political dialogue when there is a new elected government. Therefore, the KIO participated in the National Convention and supported the holding of elections in 2010. As a member of parliament or the government, Daw Aung San Suu Kyi might be able to question why this is happening. If she can ensure that the government handles the peace process properly, confidence in the process can be restored. The negotiations can then move ahead. Are you optimistic that she can help build trust between the government and ethnic groups? The ethnic nationalities trust her because she is the daughter of General Aung San. He related to the ethnic leaders as equals. He listened to what they wanted and sincerely tried to find a political solution that everybody could be happy with. 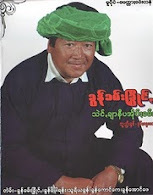 The concept of the nation they agreed to was a Union of Burma where the Bamar, Shan, Kachin, Chin and other ethnic nationalities would, as co-founders, equally share the burden of nation-building. Unfortunately, General Aung San’s successors did not share his vision. The Bamar instead replaced the British and took on the role of big brother, diminishing the role of the ethnic nationalities. It later became worse with the military believing that they were the only ones who should be responsible for the welfare of the nation. She definitely can help rebuild trust but to have a permanent peace in the country, we need nationwide discussions on what we want the Union of Myanmar to look like in the future. Today, the ethnic states do not want to separate from the union. But if there is no justice and no way to resolve disagreements in peacefully through political discussions, then the conflicts will continue. Critics say the government has made progress in political reform but little improvement in the way it deals with ethnic armed organisations. What’s your opinion? The ethnic armed organisations exist because there was no way for ethnic nationalities to peacefully express their disagreement. Asking the armed groups to just stop fighting and engage in making money will not solve the problem. They are not fighting because they want to make money. They feel that the role of the ethnic nationalities in the history of Myanmar has not been recognised.